The Band….is taking a break for a little while whilst other projects are pursued….. Established singer songwriter, proudly Welsh yet exceedingly British! Whilst her roots are firmly in the Welsh valleys she is a purveyor of songs which touch all of us. From the heart wrenching Emily’s Rainbow to the frivolity of audience ‘pirate’ participation in She Kissed Her True Love, her performances are both entertaining and memorable. 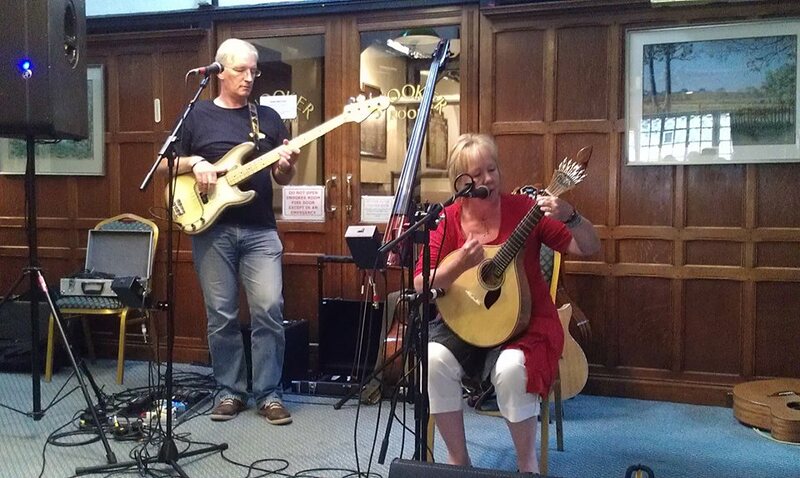 Linda writes her songs on a variety of stringed instruments including guitar, cittern, mandolin, bouzouki, Portuguese guitar and dulcimer, adding unique atmosphere to her material. Whilst a bit of a hidden gem, she has graced stages at clubs and festivals across the country and has opened for many (and varied!) first class acts such as Mike Silver, Clive Gregson, Martin Simpson, Eric Andersen, Hayseed Dixie Band, Josh Ritter, Rod Clements, PJ Wright & Dave Pegg, Ric Sanders & Vo Fletcher, Steve Tilston – and the list continues to grow. 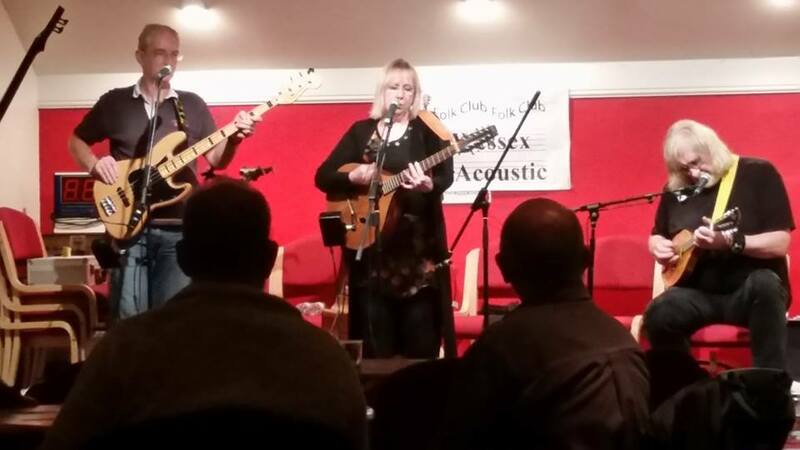 With four albums to date, a duo and two bands, Linda is a very busy woman with a passion for good music! Mike primarily plays bass guitar and upright electric double bass as well as being an accomplished guitarist. He is also equally at home providing backing vocals as well as writing and performing his own material. He was once called, ‘the best bass player in East Anglia’! He has performed around the country in various guises, latterly together with members of the band Edison Lighthouse. His love of music across the genres means he is as comfortable with folk as blues, rock or jazz and enjoys every minute with Linda and the Band. Multi-instrumentalist Simon played his first paid gig over 50 years ago, as lead guitarist with The Strangers. Since then, as a session musician and live performer, he has played rock, traditional jazz, funk and disco music, as guitarist in a successful blues band, and in folk circles with his younger brother Andrew, supporting the likes of Fairport Convention, Ralph McTell, Steeleye Span and Richard Thompson. 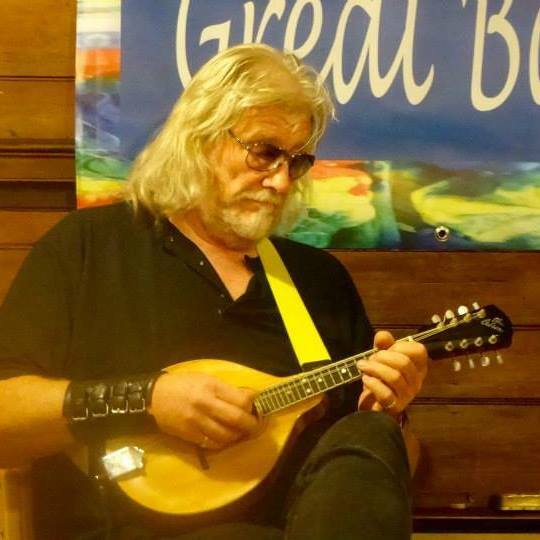 Simon was a member of the folk/rock/ceilidh band Bananas for 35 years and was also well known as a sound engineer on the folk festival circuit. When not working with Linda, he is a member of the multi-cultural band Lebedek, the vocal harmony group The Cuttings Family – and ceilidh band, All Strung Out. He is widely respected as a ceilidh dance caller, and will turn his hand to anything musical which prevents him from having to do a proper job! We have a whole list of instruments between us, a great collective sense of humour and a true desire for adventure!